If you’ve been looking for a great company to do your lot clearing in Peterboroug, ON, you have come to the right place. 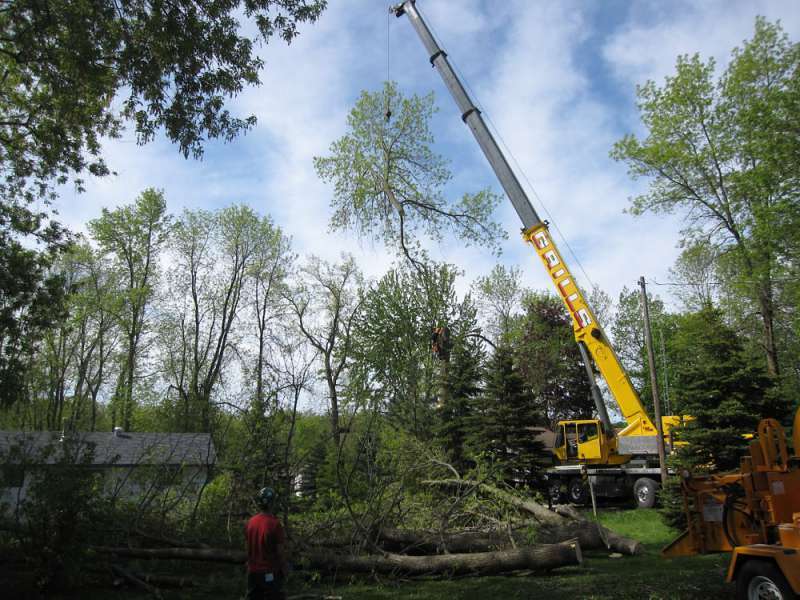 At Van Till Tree Care we offer a lot clearing service for all sorts of building and land pursuits. We have the knowledge and experience to make this a seamless operation so that you can move forward with all your building and renovating desires. Our experts are prepared to serve you as we take your land to the next level. Use our form below to request a free quote on your Lot Clearing needs in the Peterborough, ON area. Stump and tree removal can seem quite daunting when you think about clearing a lot for building. That’s why it is always a good idea to hire a professional for that job. Lot clearing will help you eliminate the unwanted brush and trees from a piece of property prior to building on it. And, hiring a professional is advisable because most lot clearing endeavors require specialized equipment. Van Till Tree Service has access to all sorts of necessary machinery for this purpose. And, we can help get the debris disposed of in the process. The truth is, attempting to clear your own lot can be dangerous. Professionals, like those at Van Till Tree Care, can ensure that safety always comes first. We know how best to remove trees and brush and how to operate the proper equipment to do it all. In this instance, lot size will definitely matter. The smaller the piece of property to be cleared, the less it will cost overall. Of course, there are other factors that come into play in this situation as well. Certainly, the more heavily overgrown the lot is, the more the service will cost. When a piece of property is mostly brush, that generally makes it cheaper to clear. This is because it will only take one or two pieces of equipment to mow it and trim it down. However, when there are a number of trees that must be removed, and stumps to grind, the price can rise significantly. Van Till Tree Care offers free quotes though, so it should be fairly simple for you to find out just how much this lot clearing procedure is going to cost you. And, our experts can plan the safest and best ways to get the land cleared quickly and efficiently. With multiple certifications, it is easy to see why hiring Van Till Tree Care, is advisable. And, we can offer you free estimates when it comes to determining the scope of the work necessary for clearing your lot. This will help you make informed decisions about the kinds of structures you want to put on your property as well. Getting your lot cleared with the help of Van Till Tree Care will provide you with the peace of mind that you are getting the best service available at a reasonable price. You can call us or fill out our online form to gain access to your free estimate, today. We look forward to discussing this project with you.